Samsung held their Premiere event on June 20 this year, and announced a series of exciting devices. One piece of technology that Samsung revealed at the event is the Galaxy S4 spin-off, Zoom. If you are a photography fan, and also like to have a flagship Samsung smartphone in your pocket, than this device might be something you’d like. Until today we didn’t have any information about the availability date and price of the S4 Zoom. However if you live in the UK or have access to the market there, you can pre-order the device from retailer Clove. 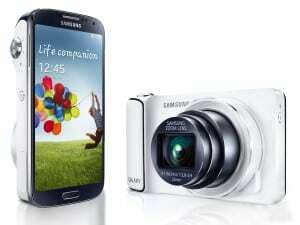 They are announcing as shipping date July 8, and are offering the S4 Zoom at £369, £443 including taxes. Even though the device is not Galaxy S4 worthy when it comes to the power under the hood, with a 1.5GHz dual core CPU and 1.5 GB Ram, it does have a 16 MP camera, with 10x optical zoom and a Xenon flash. This makes the S4 Zoom the best smartphone for taking photos, even though the design isn’t so smartphone-friendly. Will you get yourself a new smartphone/camera or not?